Dermatologically tested, for all skin types. A creamy Hair and Scalp treatment to help sooth dry, flaky and itchy scalp. As experienced during hairloss by a chemical treatment. As used and recommended by Chemotherapy patients. Moisturises and conditions your hair & scalp, leaving it revitalised and calm. Contains Dead Sea Mud Silt rich in vital trace elements and sea minerals. Malachite Gem Extract to boost skins immune system and enhance cell repair. 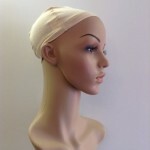 Category: Products for Sensitive Sore Scalp.